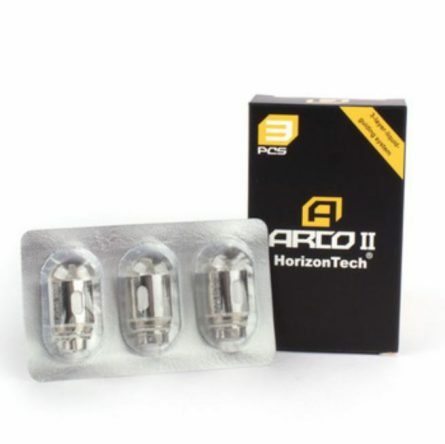 These coils are specifically designed for the Horizon Arco 2 Sub-Ohm Tank and will assist in producing massive clouds and precise flavors from your favorite juices. The exclusivity behind these coils are that they are vertically oriented coils that use only the best organic cotton and a flax paper liquid guiding system. In the liquid guiding system, the coil, cotton and flax paper work together to guarantee that you get the most out of your e-Liquids without dry hits. The technology behind it is that the fiber in the paper expands over a period of time and allows the flavor from the e-Liquid to increase the longer you vape.